Shanghai is China’s infamous sleepless city, so it’s no surprise that it’s home to some amazing pubs. Boasting twice as many bars as Hong Kong, this sprawling metropolis has one of the most vibrant nightlife’s in Asia. While many bars close at 1 pm, clubs are open until 5 in the morning. This wide selection of nighttime venues allows visitors to indulge until the sun comes up. Even if you don’t want to pull an all-nighter, there are multiple bars that cater to your tastes. When exploring the options, its obvious that Shanghai has something for everyone. There are over 2,693 bars to choose from, and each one has its own unique style. While Hengshan Road is the most notorious party area, it’s far from the only choice. Moaming South Road offers a quieter French inspired nighttime vibe while Tongren Road caters mostly to expats. Thanks to its robust selection of open air bars, the Bund has also become a revered bar street in Shanghai. There’s no shortage of options, so don’t hesitate to explore the city at night. For travelers who are looking for a familiar place to party, Shanghai’s pubs can’t be missed. The city is home to a thriving expat community that enjoys watching games and eating Western food. This demand for a taste of Aussie culture has paved the way for some truly impressive pubs. To showcase what’s available, we created this list. 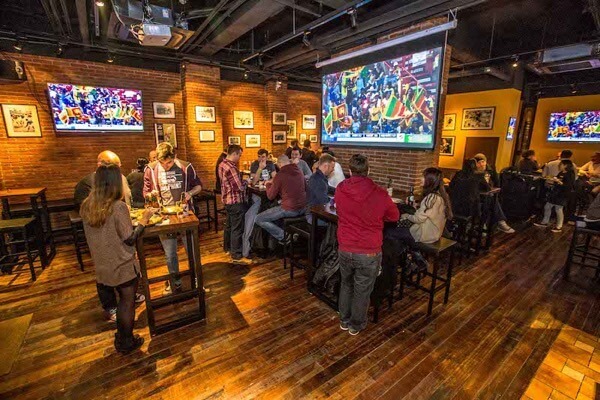 Prepare to discover epic venues to visit with this group of amazing pubs in Shanghai! This pub is quickly gaining traction in Shanghai. Pub #3: Caxton – Even though this pub is a relative newcomer, it has quickly secured its place in Shanghai’s expat community. While they showcase most sports’ biggest matches, their main focus is on rugby. This refreshing emphasis on the top rugby leagues creates a truly unique atmosphere. Patrons get to choose between ten beers on tap that include local favorites Brewdog and Boxing Cat. This impressive selection of craft brews is complimented by multiple features that no pub can be without. Their dedication for preserving the essence of a pub is showcased by a robust lineup of pub grub. All the usual classics can be found here, which helps patrons keep the party going until 1 am. The place gets packed on game day, so make sure to show up early to reserve your spot! It doesn’t get more authentic in Shanghai than this pub. 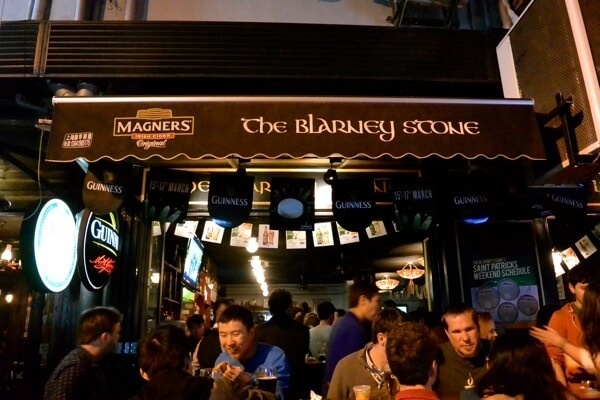 Pub #2: The Blarney Stone – Every since it opened in 2001, this pub has been pioneering European culture in Shanghai. The Blarney Stone has become such an essential venue for expats that it’s the unofficial second consulate of Ireland in China. While it recently moved to Yongkang Lu, they did an excellent job of preserving their style. So many jerseys and memorabilia adorn the walls that its easy to forget that you are in China. Hospitality didn’t get lost in translation, so get a taste of home at this iconic pub! Experience an entertaining mix of matches and games. Pub #1: Cages Bar & Sports – While this is far from a traditional pub, their epic dedication to sports puts it at the top of our list. Instead of simply showing sports matches on their 70 HDTV’s, Cages allows visitors to get in the game. This 4,000 square meter warehouse space is packed to the brim with gaming options. Batting cages and pitching lanes are complimented by a massive squash court. Dodge ball and bubble soccer areas are also available for patrons to play in. Aside from offering a staggering amount of entertainment options, this oasis in northern Jing’an is home to multiple indoor sports leagues. 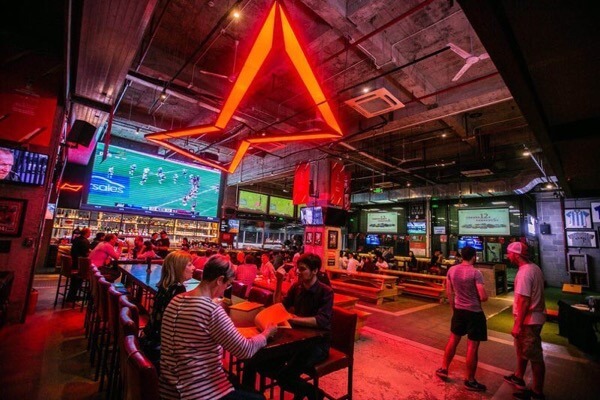 The Ladies’ Soccer and Shanghai Dodge ball League all call this pub their home. For those who crave more, their food and drink options are just as robust as the selection of games. This unbeatable selection has made this bar one of the top entertainment options in the city. Discover what all the fuss is about by stopping by during your next trip to Shanghai!